Last month I had the pleasure of attending the Practice 360 Conference in Washington DC. The conference is an annual event hosted by the District of Columbia Bar Association, designed to help lawyers build and grow their practices. At this year’s conference there was a clear focus on the challenges and opportunities new technologies provided for lawyers – particularly how lawyers could use technology to remain competitive. It was great to hear this encouraging message and the practical examples Hamilton gave to back it up. For example, the medical profession is already using AI to assist with the diagnosis of cancer. In many cases AI is outperforming the human experts in detecting tumours. But this does not mean that doctors will become obsolete – it just means they can use this technology to do their jobs better. This is because the practice of medicine, much like the practice of law, depends on a relationship of trust between two humans. This is not something which AI can replicate. The reality is that AI is better at doing some things than humans– like accurately analysing massive amounts of data. Conversely, humans are good at doing things AI cannot do – we have creativity, intuition, empathy and the capacity to build relationships with other humans. Lawyers must be able to receive large amounts of information – both relevant and irrelevant – then analyse and synthesize this information to provide specific advice to clients. But even lawyers, who perform much better than most people at detail-oriented tasks, will still make mistakes. 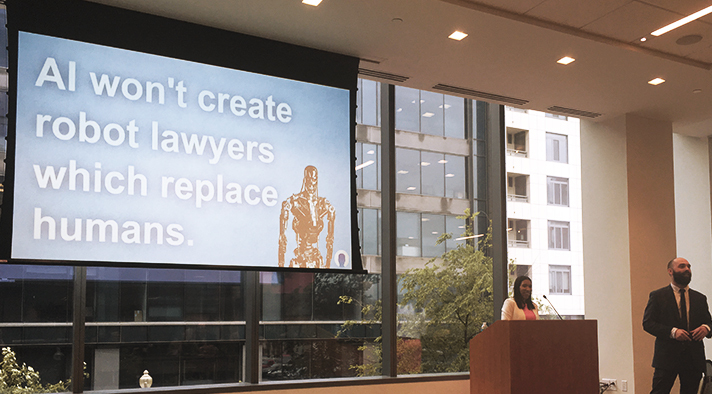 AI can enhance the work lawyers do, allowing them to deliver better outcomes for clients. Hamilton noted that increased interest in AI amongst the legal profession had not only resulted in greater engagement with the technology, but also more frequent misunderstandings about what AI actually is. As he noted: “AI is not robot lawyers and automation”. improved algorithms from 50 years of established AI research. Machine Learning – systems that can learn from experience. Automated Speech Recognition – systems that can identify and process human voices (e.g. Siri on Apple iPhones). Deep Learning – systems that can learn from experience based on large data sets (e.g. systems that can detect cancer based on large amounts of clinical data). Natural Language Processing – systems that can understand language and communicate naturally with humans (e.g. home helpers Google Home and Amazon Echo). How is AI used in the law? This might all sound quite technical, but the applications of AI for lawyers are surprisingly practical. 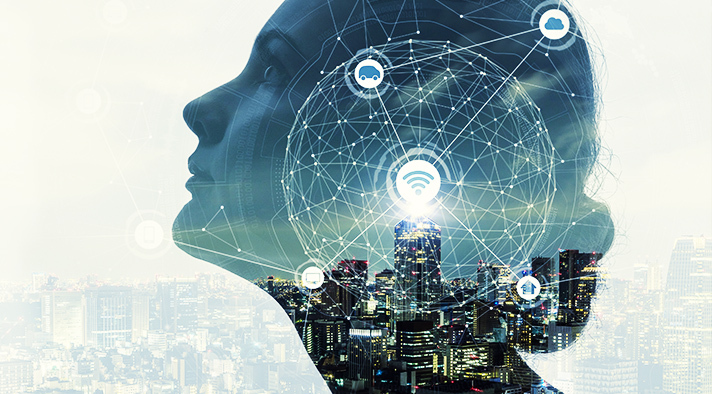 AI solutions are already being used to speed up repetitive and time consuming tasks such as legal research, discovery, document review and contract review. This enhances lawyers’ work and allows more time on high value tasks, such as building client relationships, as well as more intellectually rewarding tasks, such as creative problem solving. One example of an AI system that is providing practical results for lawyers is EVA, a free AI tool developed by ROSS Intelligence that uses machine learning. Lawyers can upload submissions (or briefs) to EVA. The system identifies all of the cases cited, hyperlinks them to the full text of the decision, and details whether each case cited has received positive or negative treatment. This allows lawyers to amend and improve their submissions to cite stronger authorities prior to filing documents with the courts. AI is already being used in Australia to provide basic legal advice and support legal research. For example, Ailira is an “artificially intelligent legal information research assistant” that offers basic advice on business structures and estate planning, as well as supporting research on tax law. Ailira uses natural language processing, which means you can ask it questions like you would another human being and get meaningful answers. This is the reality of the AI revolution for lawyers – technology that allows them to do more work, more efficiently and accurately. It will be interesting to see what the future holds.